How to Get Rid of Mosquitoes? – Mosquitoes, although are really tiny creatures, can ruin a good night’s sleep. These nagging small insects can cause many dangerous and fatal diseases like dengue, malaria, yellow fever, and chikunguniya. Though there is no dearth for mosquito repellents in the market, they are loaded with chemicals that can harm not just the environment but also your health. It is therefore better to follow some simple home remedies to get rid of mosquitoes in an eco-friendly manner. Mosquitoes can be a huge menace to humanity and cause various vector-borne diseases. Since chemical laden mosquito repellents can cause allergic reactions, we urge you to try the below listed natural and simple ways to get rid of mosquitoes. A mixture of lemon and eucalyptus oil is all you need to repel mosquitoes that bother you all night long. Both lemon and eucalyptus oil contain active components like cineole, loaded with amazing insect-repellent and antiseptic properties. What’s more? They are all natural and have no side effects whatsoever, and hence are safe to use around children and pets. Tulsi is highly effective in killing mosquito larvae. It also helps keep mosquitoes at bay. According to Ayurveda, planting a tulsi shrub at the entrance of your house or near a window will prevent mosquitoes from entering your house. You can also tie up tulsi in small sachets and hang them around the house. In addition, you can also use a holy basil spray to repel mosquitoes. Must read: How to Get Rid Of Gnats in House? Neem works as a great mosquito repellent for indoors. In fact, neem leaves have been used since time immemorial in keeping mosquitoes away! Being an excellent anti-fungal, anti-bacterial, anti-protozoal, and antiviral agent, neem is all- natural and is safe to use in households with pets and children. Neem emits a sort of fragrance that repels mosquitoes. So, simply hang a few stalks of neem leaves around your house. Or, powder neem leaves and sprinkle around the house to keep the nasty bugs at bay! Also read: How to Get Rid Of Carpenter Bees? Camphor is yet another great home remedy to get rid of mosquitoes for good. It is also eco-friendly! Simply close the doors and windows of your room. Next, light camphor and allow it to burn for about half an hour. Before you know, mosquitoes will be a story of the past. You can also use camphor balls with Neem oil as a natural or organic mosquito repellent. Just take 3-4 camphor balls and soak it in a cup of Neem oil. Use this mixture to refill your old repellent bottle. Another alternative is to prepare a mixture with equal quantities of citronella, camphor spirits, and cedar oil. Spray a little mixture on a bath towel and hang it near your bed. This natural mosquito repellent will keep mosquitoes away at night! Lavender has a very soothing effect and calms your mood and senses. But, mosquitoes do not share the same love for this essential oil. So simply use lavender oil as a room freshener to keep mosquitoes away. The fragrance of this flower is way too strong for mosquitoes and thus can preven these nagging insects from entering your home. You can also plant lavender in your garden or even apply a diluted form of the oil on your face and body to protect yourself from mosquito bites. Garlic extract contains larvicidal properties. Just crush a few cloves of garlic and boil them in water. Pour the solution into a spray bottle and squirt it around the room. This potent mixture will keep mosquitoes at bay. As surprising as it may seem, eating garlic will also keep you safe from mosquito bites. And, if you can tolerate the pungent odor of garlic, rub a garlic clove on your skin and you will never be bitten by a mosquito again! Must read: How to Get Rid of Drain Flies? If you love the fragrance of mint, you will love this remedy too. Several studies suggest that mint extract works as an excellent indoor mosquito repellent. You can use mint leaves in numerous ways to get rid of mosquitoes. You can use it as a vaporizer to spread the fragrance of mint around the room. Alternatively, you can apply mint oil on your skin or plant a shrub at the entrance of your home. Another option is to mix a small quantity of mint flavored mouthwash with some water and spray it around the house to get rid of mosquitoes. Also read: How to Get Rid of Flies? Tea tree oil is one of the most effective insect repellents that you can lay your hands upon. It contains anti-fungal and anti-bacterial properties that work wonders in combatting with mosquitoes. The strong fragrance of tea tree oil keeps mosquitoes away. Just mix a few drops of tea tree oil with an equal amount of water. Apply this mixture over your face and exposed body parts to repel these insects. If you have a garden or backyard in your home, you are bound to be plagued by mosquitoes. But, fret not for we have just the solution you need. Plant a few pots of Red Cedar Mulch, and get ready to bid farewell to mosquitoes. These pretty plants will not just add beauty to your outdoors, but will also ward away mosquitoes effectively. This plant has a distinctive smell that mosquitoes do not fancy and hence you can use a few red cedar chips iwith water as a spray to keep your indoors, mosquito free! Indian lilac has been used since ages as a natural pesticide. It can also be used as a potent mosquito repellent. Coconut oil too is said to have repellent properties. Together, these oils can do wonders in keeping your home free of mosquitos. All you need to do is mix the two oils in a 1:1 ratio and apply it over your body. The strong fragrance will keep the pesky bugs away from your for a good eight hours! Now, this is a remedy that may never have crossed your mind! But, it sure does work. The carbon dioxide that human beings exhale tend to attract mosquitoes and that is why they swarm around people. Dry ice also emits carbon dioxide and can come in handy in repelling mosquitos. Simply, place dry ice in a bowl and keep it in a corner of your house. All the mosquitoes will be attracted towards the container. Shut the lid, and voila your room will be free of mosquitoes! This is yet another very simple home remedy that can help repel mosquitoes naturally. Simply sprinke coffee grounds in stagnant pools of water around your home. The eggs that the mosquitoes have laid will be forced to come to the surface and thus will be deprived of oxygen. This will kill the eggs before they hatch and prevent the insects from breeding! Do not allow any water to stand around your house. Stagnant water is an open invitation to mosquitoes. They breed and multiply in even a small puddle of water! Try to keep all windows and doors closed to keep the mosquitoes from entering the house. You can also use a wire mesh on windows and doors. Mosquitoes are attracted by lights. Therefore, use mosquito repellent lights, like yellow bug lights, sodium lamps, or LED lights in the house. You can also use a mosquito net at night, especially if you have young kids at home. 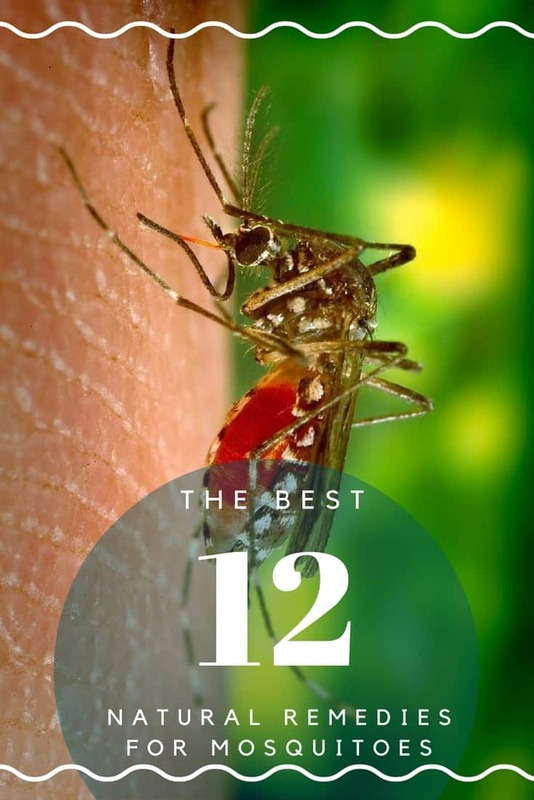 Most mosquito repellent creams and coils are effective for just a few hours. The effect reduces with time. Therefore, using a mosquito net at night will help further prevent mosquito bites. Most importantly, whenever you see mosquitoes flying around you, kill them immediately. This is one of the best ways to keep the environment around you mosquito free. After all, “Precaution is always better than Cure”!